1. Preheat the oven to 175C (345F) and line 2 x 8 inch (20cm) cake tins with baking paper. 2. 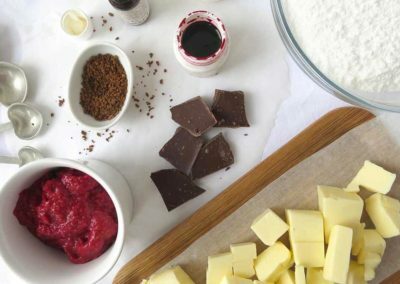 In a medium sized bowl, sift flour, baking powder, baking soda, salt and vanilla bean paste. Whisk to combine and set aside. 3. In another bowl, beat eggs and sugar with an electric mixer together until foamy. Gradually add the oil, vanilla, rice milk, vinegar and chia seed mixture and continue to beat until combined. 4. Add the flour mixture and fold until combined and there are no lumps. 5. Divide the cake batter among the two cake tins and bake for 30 minutes or until a skewer comes out clean (or with a few loose crumbs). Leave to cool in cake tins for 5 minutes before inverting on a cooling rack. 6. Once completely cool, level the cakes with a serrated knife (optional). Place one cake on a cake board and using a off-set spatula, spread 1/2 cup whipped coconut cream on the cake. Place the other cake on top and apply the rest of the whipped coconut cream. Decorate as desired. 7. To make whipped coconut cream: Open the can of coconut cream upside down and tip the coconut water into a jar. Scoop out the coconut cream into a bowl of an electric mixer and along with the sugar, vanilla extract, vanilla bean paste (if using) and salt. Beat on medium speed until thick or you reach the desired consistency. 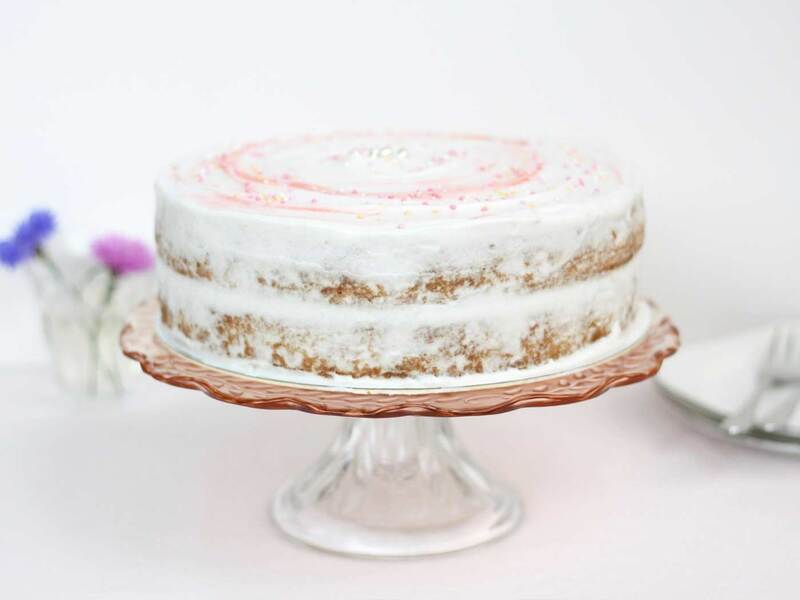 A deliciously light and fluffy gluten and dairy free vanilla cake. No one will even know it doesn’t have gluten or dairy in it! A few of you have been asking for gluten free recipes, I have one here for you today. I made this a couple of weeks ago when we were in still in Brno visiting friends, one of whom is gluten and dairy free. It got her tick of approval so thought I better share it with you all. 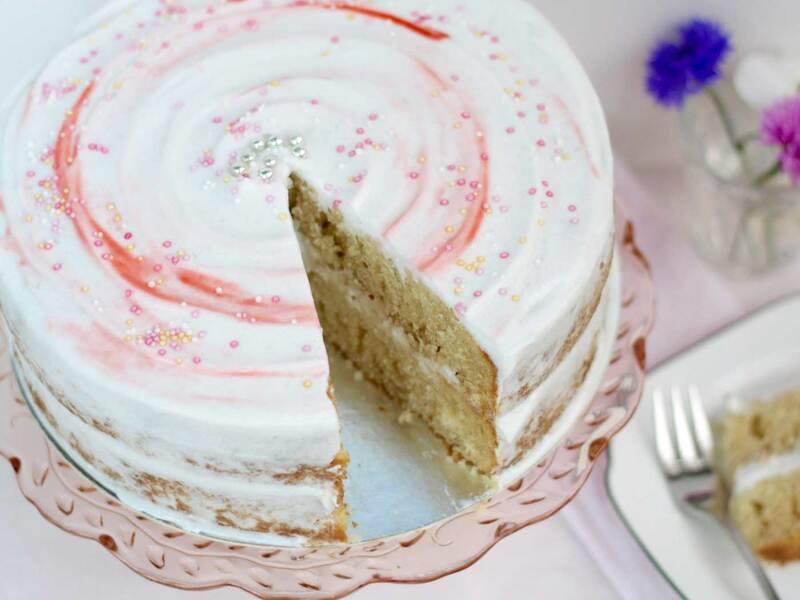 This recipe is actually my classic vanilla cake recipe but I transformed it into a gluten free and dairy free one. It’s a great recipe to use if you’re gluten and/or dairy free or if you know someone who is. 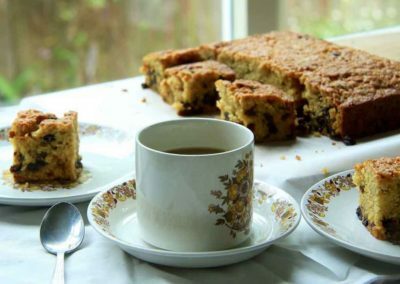 However, you don’t have to be on a gluten free or dairy free diet to make and eat this cake. 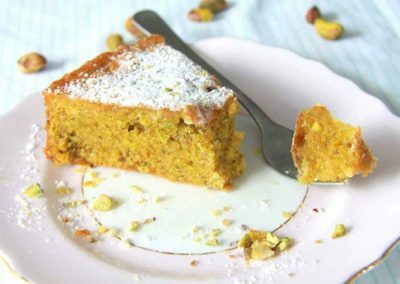 It is still just as light, fluffy and delicious as the original version and is probably healthier as it contains less sugar and healthier fats. 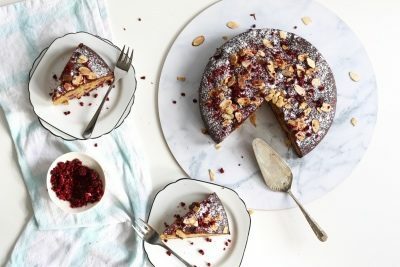 A couple of weeks ago I posted about how to convert a gluten cake recipe into a gluten free cake. Below I’ll show you how I did it with this cake. As you’ll see, it’s super simple. 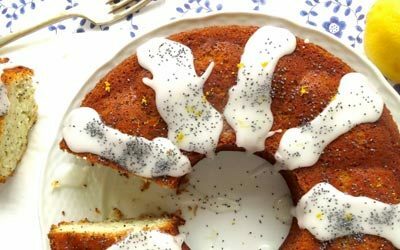 Eggs are whipped with the sugar to create more air (instead of using the creaming method, as in the classic vanilla cake recipe). …and that’s it! I told you, not much to it right? The little black specs you can see in this photo are from the chia seeds. If you don’t want them, just grind the chia seeds before soaking in water. 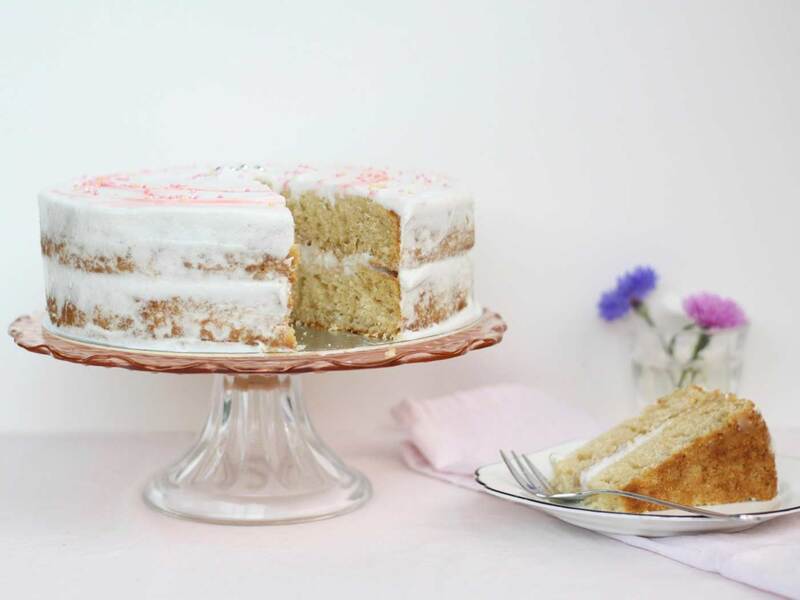 Have you ever seen a gluten dairy free vanilla cake this light and airy before? This is a great cake to get creative with! As with the classic vanilla cake, you can have fun with the flavours. 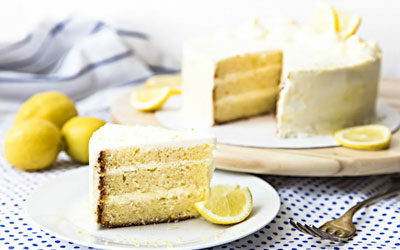 For example, if you prefer lemon, omit the vanilla seeds and add lemon zest to the cake and frosting instead. 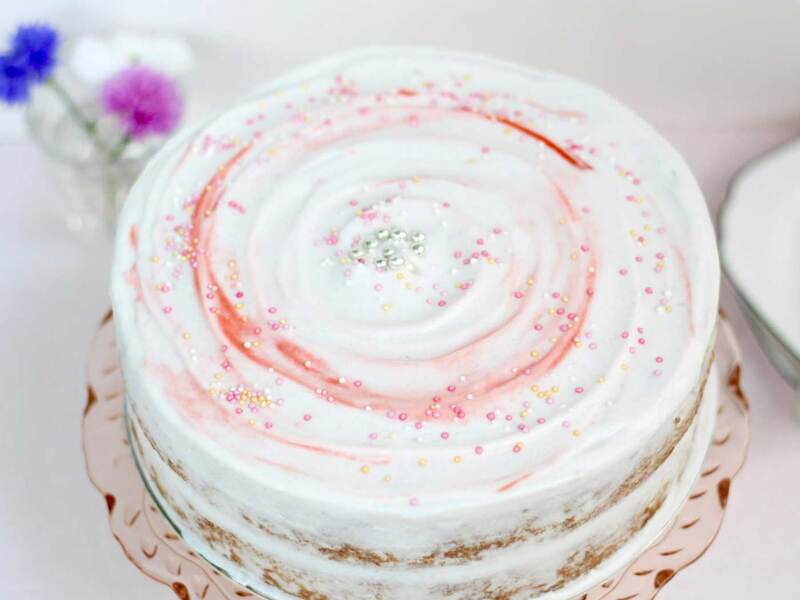 Or if you want to stick with the coconut themed frosting, add 1-2 teaspoons of coconut essence or extract and use the coconut water instead of the dairy free milk or a combination of both. 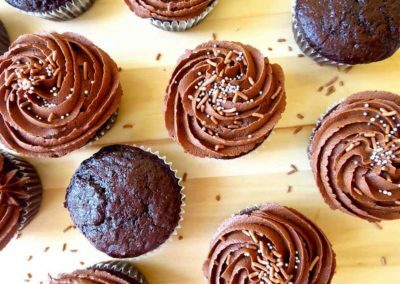 If you are a chocolate lover like me, substitute 30g (1/4 cup) flour with natural cocoa powder and add 2 tablespoons to the frosting. I was feeling extra girly the day I made this, can you tell? 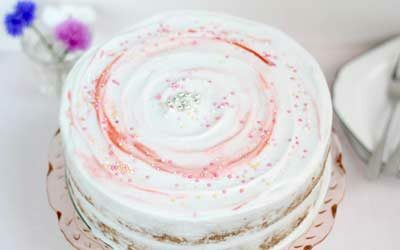 To make the decorations I simply swirled some pink food colouring on top of the cake and added sprinkles. 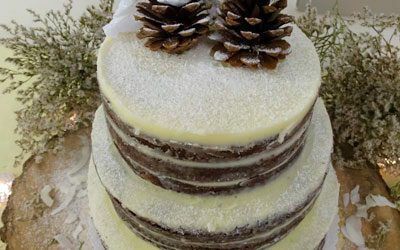 Feel free to add whatever you have on hand – there are no rules when it comes to decorating cakes. Be sure to place the coconut cream in the fridge a good couple of hours before making the frosting (best over night) so that the cream and coconut water can separate. The cold coconut cream also whips up a lot better when it is cold.